Since 1978, Teritex Sportswear have been exporting their goods around the world. Such products include knitted and printed football / soccer scarves, wristbands, hats, gloves, flags and banners. Teritex regularly supply their products worldwide, from the United Kingdom, to Europe, Scandinavia, USA, Canada, Japan and Australasia. Teritex provide the complete custom design service, with design origination, quality manufacturing facilities and prompt supply. We have many years experience of exporting our goods to a vast range of countries, so are familiar with the varied customs requirements, and organising shipping on behalf of clients. Teritex Sportwear fabrique des écharpes de football (américain et européen) ainsi que des bonnets tricotés, des gants, des écharpes sur lesquelles sont imprimés des logos, des drapeaux, des fanions, des bracelets en coton, des bandeaux, et des coussins. Teritex Sportwear fabrica fajines de fútbol (americano o europeo) así que gorros de punto, guantes, fajines en los cuales logótipos son impresos, banderas, banderines, correas en alogodón, vendas. 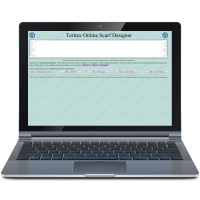 Teritex Sportswear manufacture football scarves and soccer scarves, along with knitted hats, gloves, printed scarves, flags, wristbands, headbands, and cushions. Teritex Sportswear confeziona sciarpe per squadre di calcio, ma anche cappelli lavorati a maglia, guanti, sciarpe stampate, bandiere, gagliardetti, polsini, fasce per capelli, cuscini.